Micronizer is a process of partical surface increaser for better soluability. we develop all types of variety for micronisation. all sizes are readily available at works for free trials. we can provide up to 5 microns. 2", 4", 6", 8", 12" jet mills are in stock. all contact part are in SS316 and non contact parts are in SS304. We offer Whirlpool Jet Mill from Premium Engineers. Standard installation is with mill having in-built classifier gap plate, fan, cyclone collector and fabric type dust collector with suitable stands. 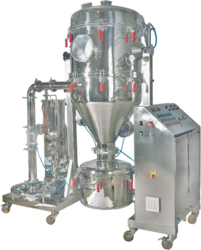 Optimization and Control of particle size are becoming ever more important in the development of pharmaceutical products. Air jet micronization is a well proven technique that consistently produces particles in the 1-30 micron range. The N series iron roll rice polisher can polish brown rice to white rice and removes bran from white rice. It features high efficiency, low loss rate and good appearance. Laxmi Group is a Manufacturer, Suppliers & Exporters of Jet Mill. It is widely use in pharmaceuticals and chemical industry and other industry too. - This innovative Steam Jet Mill is capable of fine grinding all kinds of dry products with any hardness and virtually no contamination. - Through this specialized milling concept, product grinding is entirely autogenous. Steam jets alone create the grinding energy. No tool wear occurs! 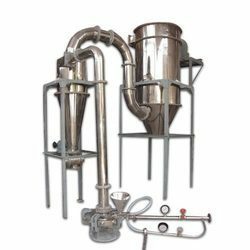 We are engaged in supplying superior quality of Used Air Jet Mill that are designed as per the specification of the clients. Available: from 0.5 Kg/Hr Output to 200 Kgs/Hr Output.